These options have the index as the underlying. In India, they have a European style settlement. Eg. Nifty options, Mini Nifty options etc. Stock options are options on individual stocks. A stock option contract gives the holder the right to buy or sell the underlying shares at the specified price. They have an American style settlement. The buyer of an option is the one who by paying the option premium buys the right but not the obligation to exercise his option on the seller/writer. 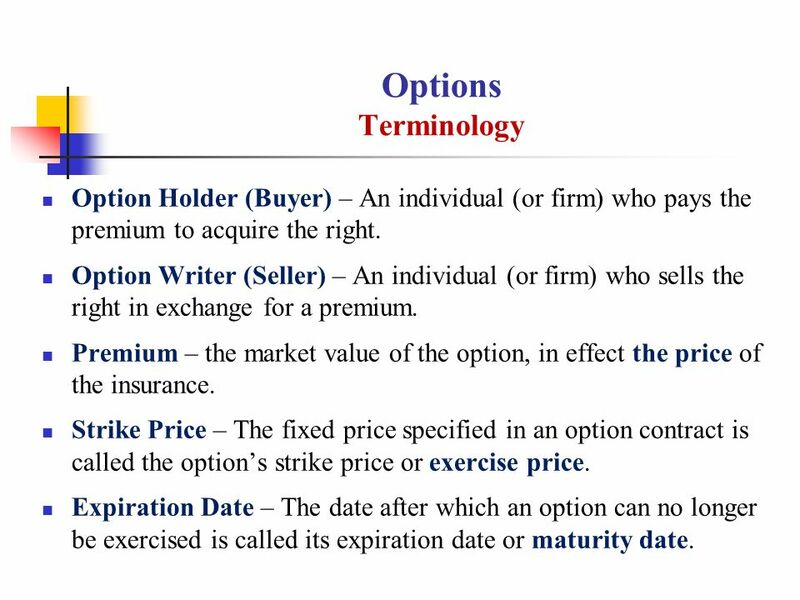 The writer / seller of a call/put option is the one who receives the option premium and is thereby obliged to sell/buy the asset if the buyer exercises on him. 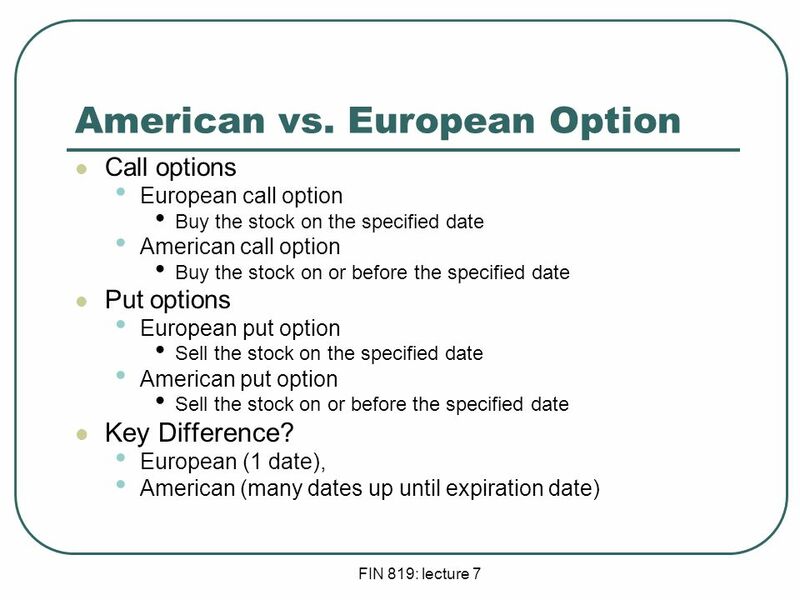 A call option gives the holder the right but not the obligation to buy an asset by a certain date for a certain price. A put option gives the holder the right but not the obligation to sell an asset by a certain date for a certain price. 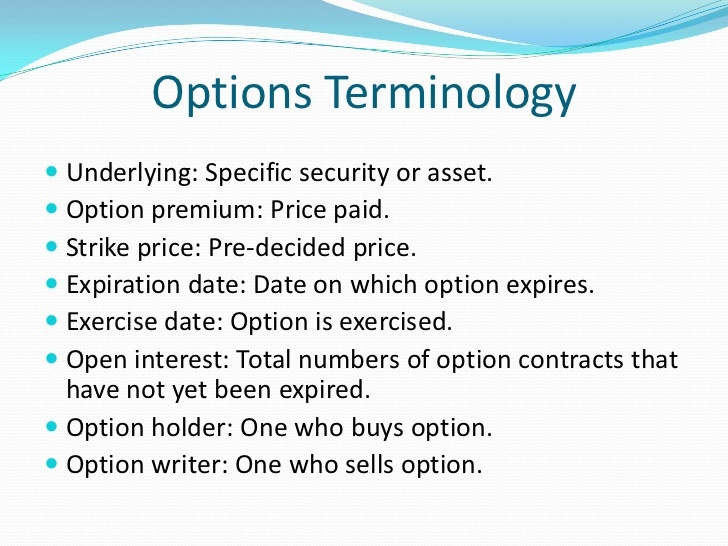 Option price is the price which the option buyer pays to the option seller. It is also referred to as the option premium. The date specified in the options contract is known as the expiration date, the exercise date, the strike date or the maturity. The price specified in the options contract is known as the strike price or the exercise price. American options are options that can be exercised at any time upto the expiration date. 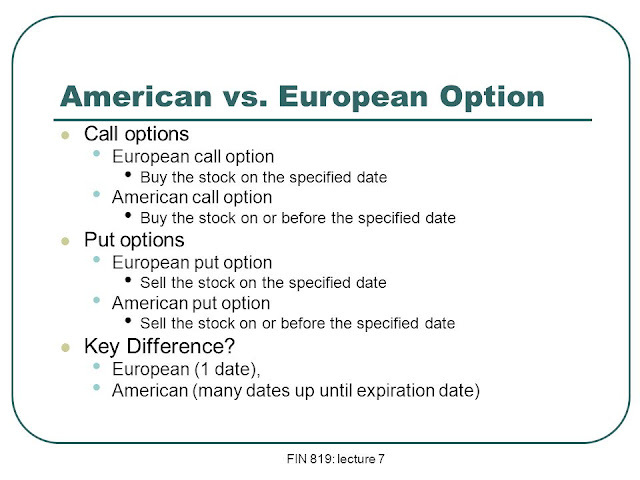 European options are options that can be exercised only on the expiration date itself. price (i.e. spot price > strike price). If the index is much higher than the strike price, the call is said to be deep ITM. In the case of a put, the put is ITM if the index is below the strike price. current index equals the strike price (i.e. spot price = strike price). price (i.e. spot price < strike price). If the index is much lower than the strike price, the call is said to be deep OTM. In the case of a put, the put is OTM if the index is above the strike price. The option premium can be broken down into two components - intrinsic value and time value. 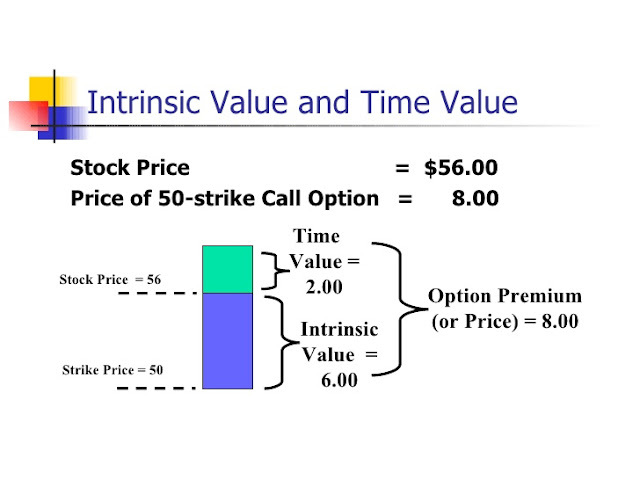 The intrinsic value of a call is the amount the option is ITM, if it is ITM. If the call is OTM, its intrinsic value is zero. Putting it another way, the intrinsic value of a call is Max[0, (S t — K)] which means the intrinsicvalue of a call is the greater of 0 or (S t — K). Similarly, the intrinsic value of a put is Max[0, K — S t ],i.e. the greater of 0 or (K — S t ). K is the strike price and S t is the spot price. The time value of an option is the difference between its premium and its intrinsic value. Both calls and puts have time value. An option that is OTM or ATM has only time value. Usually, the maximum time value exists when the option is ATM. The longer the time to expiration, the greater is an option's time value, all else equal. bAt expiration, an option should have no time value. payoffs (pay close attention to these pay-offs, since all the strategies in the book are derived out of these basic payoffs). In this basic position, an investor buys the underlying asset, ABC Ltd. shares for instance, for Rs. 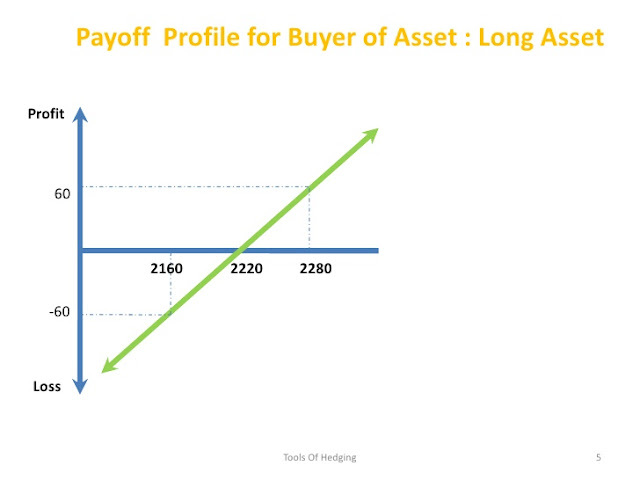 2220, and sells it at a future date at an unknown price, S t . Once it is purchased, the investor is said to be "long" the asset. shows the payoff for a long position on ABC Ltd.The figure shows the profits/losses from a long position on ABC Ltd.. The investor bought ABC Ltd. at Rs. 2220. If the share price goes up, he profits. If the share price falls he loses. In this basic position, an investor shorts the underlying asset, ABC Ltd. shares for instance, for Rs. 2220, and buys it back at a future date at an unknown price, S t . Once it is sold, the investor is said to be "short" the asset. shows the payoff for a short position on ABC Ltd.The figure shows the profits/losses from a short position on ABC Ltd.. The investor sold ABC Ltd. at Rs. 2220. If the share price falls, he profits. If the share price rises, he loses. A call option gives the buyer the right to buy the underlying asset at the strike price specified in the option. 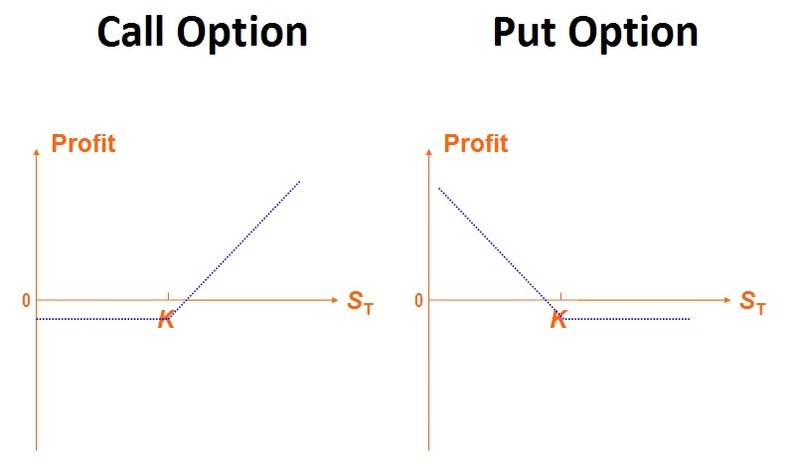 The profit/loss that the buyer makes on the option depends on the spot price of the underlying. If upon expiration, the spot price exceeds the strike price, he makes a profit. Higher the spot price, more is the profit he makes. If the spot price of the underlying is less than the strike price, he lets his option expire un-exercised. His loss in this case is the premium he paid for buying the option. gives the payoff for the buyer of a three month call option (often referred to as long call) with a strike of 2250 bought at a premium of 86.60. The figure shows the profits/losses for the buyer of a three-month Nifty 2250 call option. As can be seen, as the spot Nifty rises, the call option is in-the-money. If upon expiration, Nifty closes above the strike of 2250, the buyer would exercise his option and profit to the extent of the difference between the Nifty-close and the strike price. The profits possible on this option are potentially unlimited. However if Nifty falls below the strike of 2250, he lets the option expire. His losses are limited to the extent of the premium he paid for buying the option. A call option gives the buyer the right to buy the underlying asset at the strike price specified in the option. For selling the option, the writer of the option charges a premium. 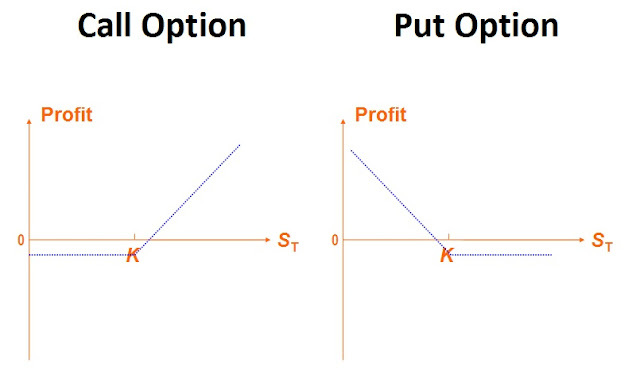 The profit/loss that the buyer makes on the option depends on the spot price of the underlying. Whatever is the buyer's profit is the seller's loss. If upon expiration, the spot price exceeds the strike price, the buyer will exercise the option on the writer. Hence as the spot price increases the writer of the option starts making losses. Higher the spot price, more is the loss he makes. If upon expiration the spot price of the underlying is less than the strike price, the buyer lets his option expire un-exercised and the writer gets to keep the premium.gives the payoff for the writer of a three month call option (often referred to as short call) with a strike of 2250 sold at a premium of 86.60. The figure shows the profits/losses for the seller of a three-month Nifty 2250 call option. As the spot Nifty rises, the call option is in-the-money and the writer starts making losses. 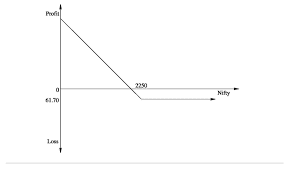 If upon expiration, Nifty closes above the strike of 2250, the buyer would exercise his option on the writer who would suffer a loss to the extent of the difference between the Nifty-close and the strike price. The loss that can be incurred by the writer of the option is potentially unlimited, whereas the maximum profit is limited to the extent of the up-front option premium of Rs.86.60 charged by him. 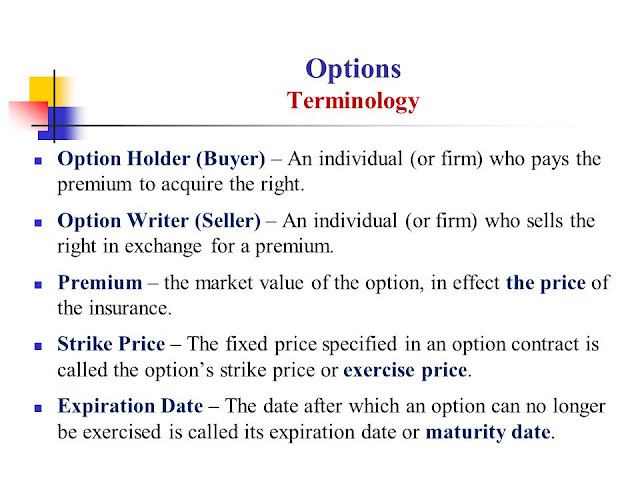 A put option gives the buyer the right to sell the underlying asset at the strike price specified in the option. 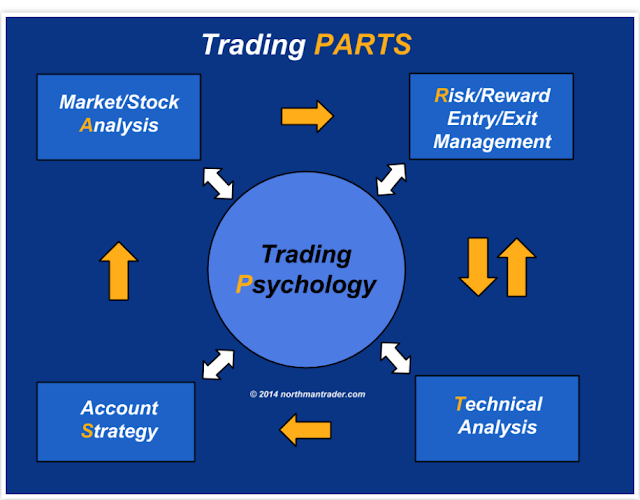 The profit/loss that the buyer makes on the option depends on the spot price of the underlying. If upon expiration, the spot price is below the strike price, he makes a profit. Lower the spot price, more is the profit he makes. If the spot price of the underlying is higher than the strike price, he lets his option expire un-exercised. His loss in this case is the premium he paid for buying the option. gives the payoff for the buyer of a three month put option (often referred to as long put) with a strike of 2250 bought at a premium of 61.70. 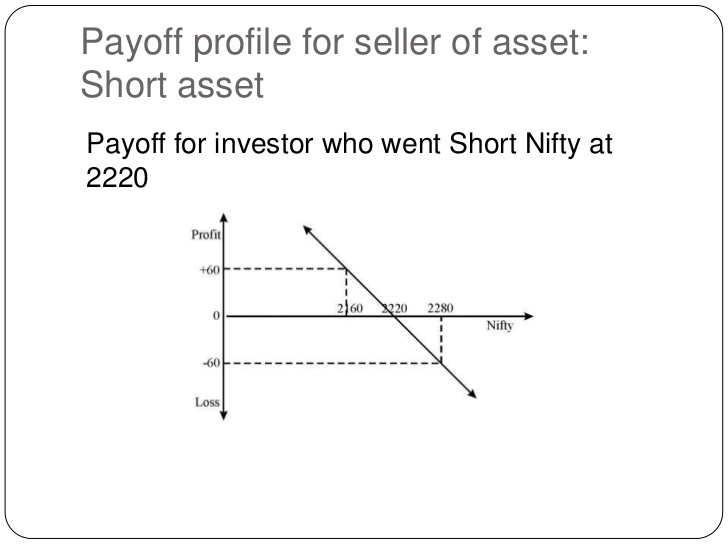 The figure shows the profits/losses for the buyer of a three-month Nifty 2250 put option. As can be seen, as the spot Nifty falls, the put option is in-the-money. If upon expiration, Nifty closes below the strike of 2250, the buyer would exercise his option and profit to the extent of the difference between the strike price and Nifty-close. The profits possible on this option can be as high as the strike price. However if Nifty rises above the strike of 2250, he lets the option expire. His losses are limited to the extent of the premium he paid for buying the option. The figure shows the profits/losses for the seller of a three-month Nifty 2250 put option. As the spot Nifty falls, the put option is in-the-money and the writer starts making losses. 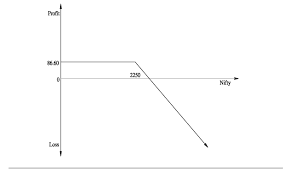 If upon expiration, Nifty closes below the strike of 2250, the buyer would exercise his option on the writer who would suffer a loss to the extent of the difference between the strike price and Nifty- close. The loss that can be incurred by the writer of the option is a maximum extent of the strike price (Since the worst that can happen is that the asset price can fall to zero) whereas the maximum profit is limited to the extent of the up-front option premium of Rs.61.70 charged by him.